Lacey O’Neill is a Registered Pharmacy Technician from Northern British Columbia. She has experience working in both Community and Hospital Pharmacy settings. Currently she is working for the BC Cancer Agency, Centre for the North in Prince George. 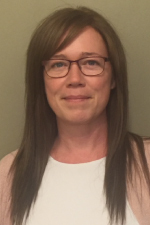 Lacey is a member of the BC Cancer Pharmacy Safe Handling Working Group and will be part of the Committee organizing the 2020, Realities of Northern Oncology Conference. Lacey is dedicated to bringing more educational and professional development opportunities to Pharmacy Technicians in order to enhance therapeutic outcomes and improve patient care in Northern BC.